Lesen.net and BuchReport.de reported Thursday morning that Germany's Tolino ebook consortium is launching a new program where ten books by self-published authors will be carried in the bookstores run by Thalia, Hugendubel, Weltbild, and Osiander, four of the bookstore chains that make up the Tolino consortium. 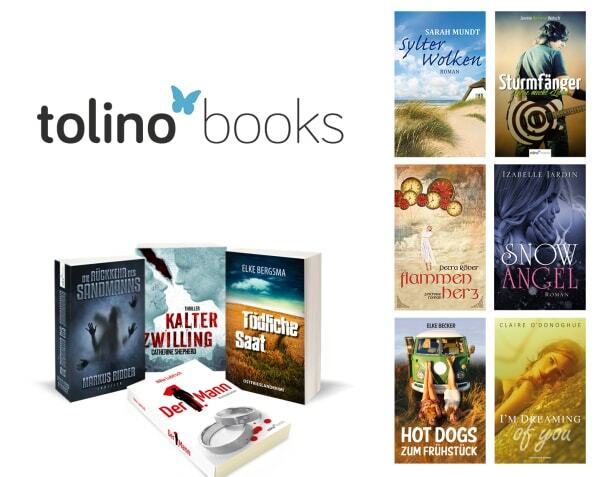 The books which have been deemed worthy of inclusion in Tolino's quota program will be edited - again - and receive new covers from graphic designers.The books will be published under the imprint Tolino Books, and will be sold for 9.99 euros. You can find a list of the books over at e-Book-News.de. They should be in stores by 15 November. Yes, folks, not only does Tolino assume that it can't find ten self-pub titles good enough to be sold in a book store in their current state, it's also going to take the credit for each author's hard work by publishing the books under its own imprint. I find the former hard to believe, given what I have seen with traditionally published titles (Go Set a Watchman, anyone? ), and the latter point is simply repugnant. Or perhaps Tolino could instead develop a program that treats indie authors the same as it would treat established publishers. Is that really too much to ask? Now, we all know who owns Tolino, right? Why should this surprise anybody, then? I would be very interested in hearing about indy authors being in bookstores in Germany. Unfortunately it’s more than difficult for a German selfpublisher to get his books in a brick and mortar store. So Tolino does a really good job here and offers the chance for a real Print Run and Not POD production. POD books are alnost non existent in German book stores. Nate, I really love Your Blog, but you may be careful with your choice of words when writing about a market you obviously lack information of. I’ll be happy to help you out here if you want to. Thanks for the correction, but that just reveals another problem with the German book market, and it doesn’t negate my point about how condescending this quota system is. And it still doesn’t change the fact that the POD books by successful authors already exist. Tolino just needs to put a little effort into finding them. No, sorry, I’m a German author and SP, and this program shows IMHO the disrespect for self-publishers work and worth. These ten titles don’t deserve (yes, deserve!) the labe “indie” anymore. They are, as Nate put it correcty, dancing bears of the publishing industry.